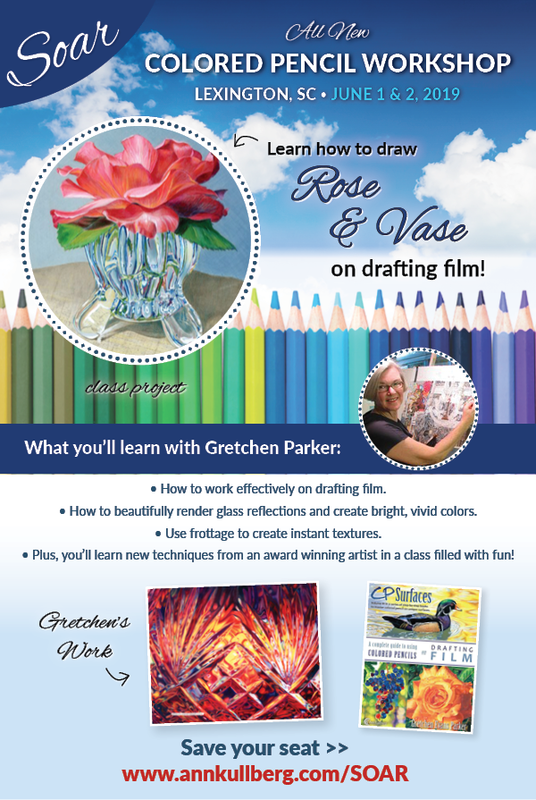 Certified SOAR Instructor Gretchen Parker brings you a fun-fulled 2-day colored pencil workshop. ♦ How to work effectively on drafting film. 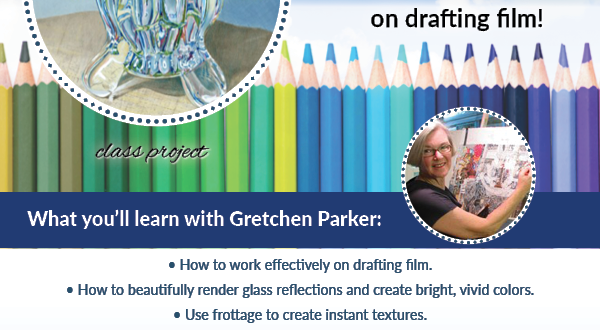 ♦ How to beautifully render glass & reflection. ♦ How to create bright, vivid colors. ♦ Plus, you’ll walk away with a Rose & Vase drawn by you!